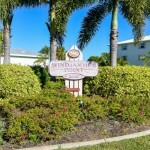 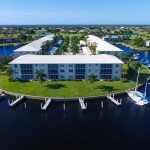 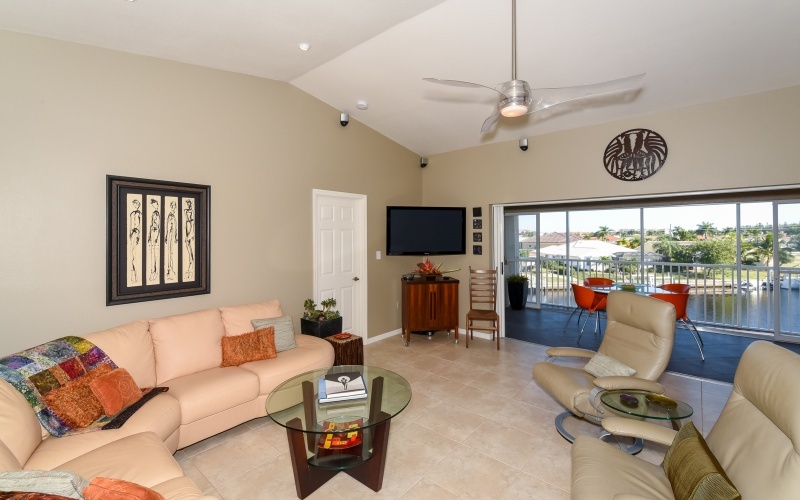 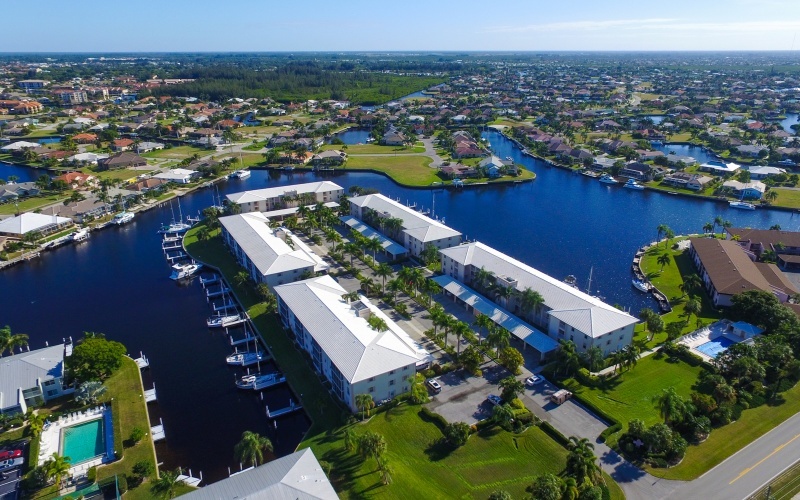 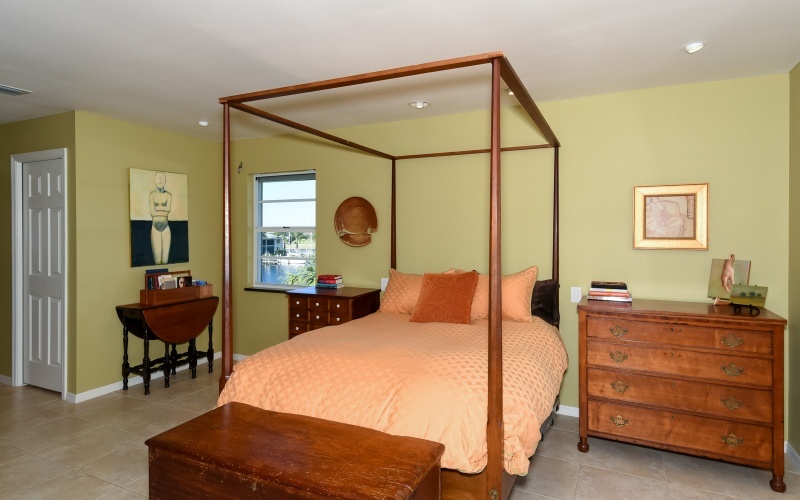 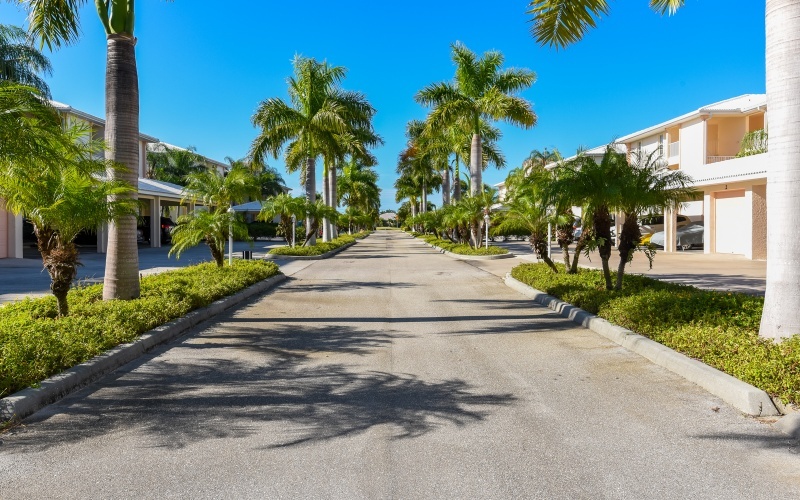 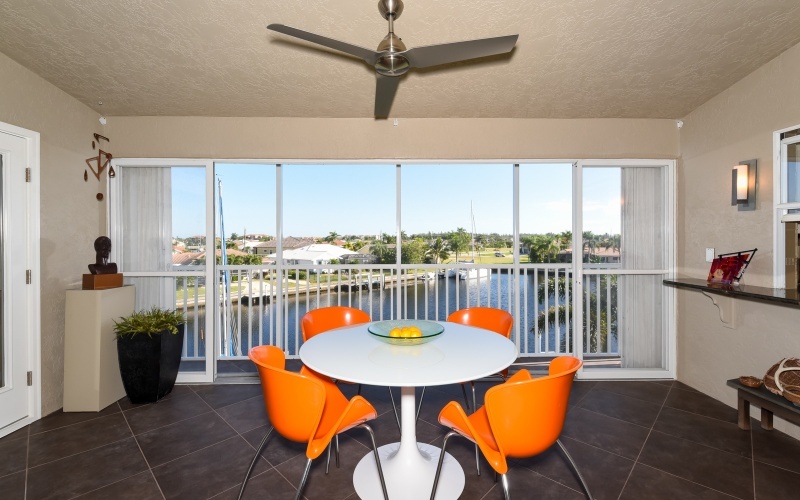 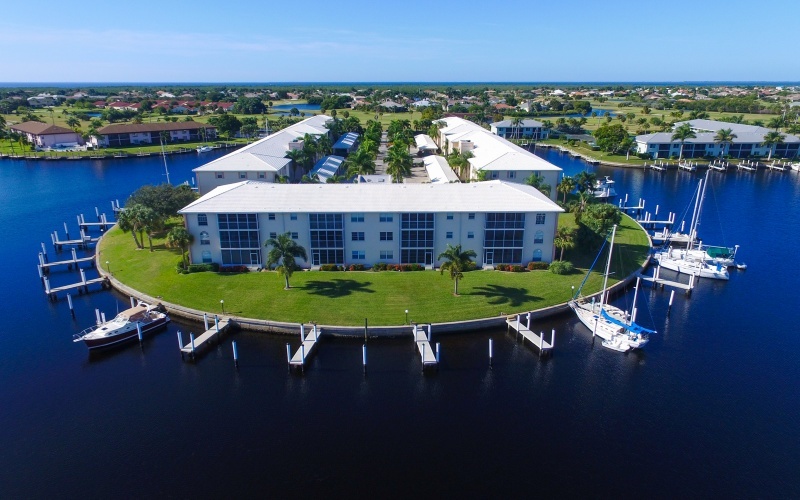 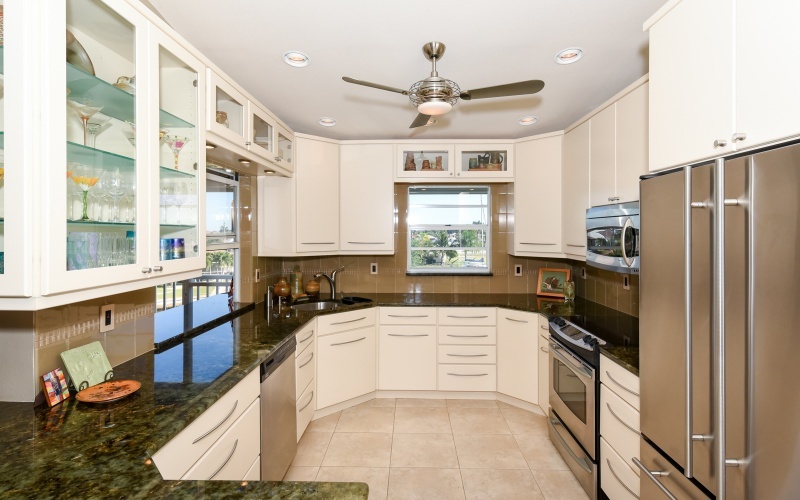 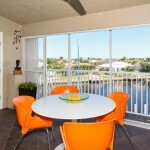 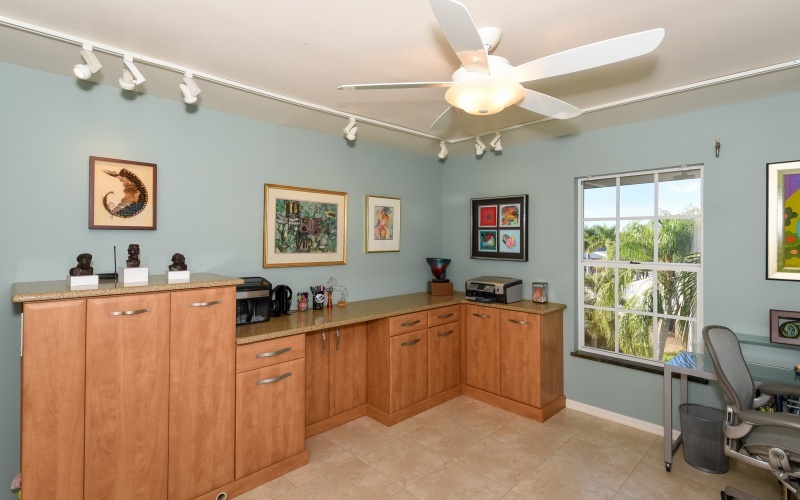 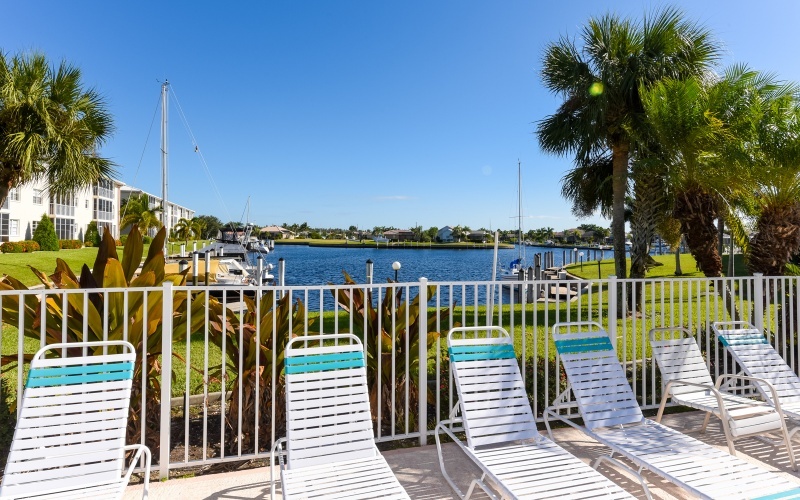 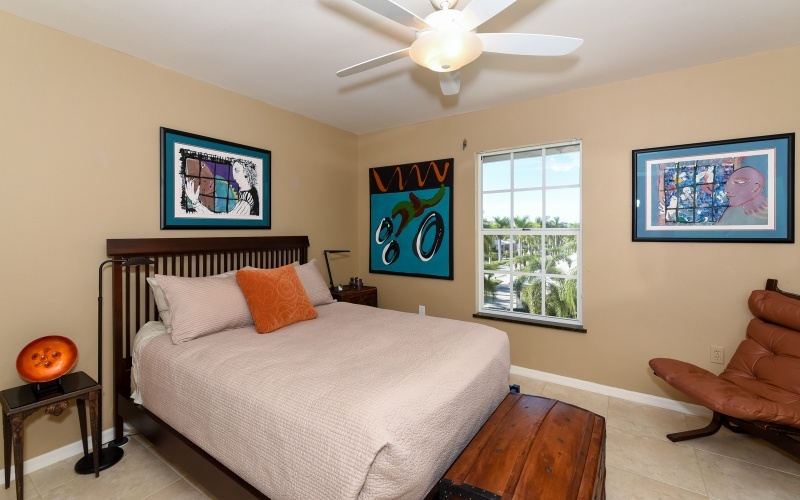 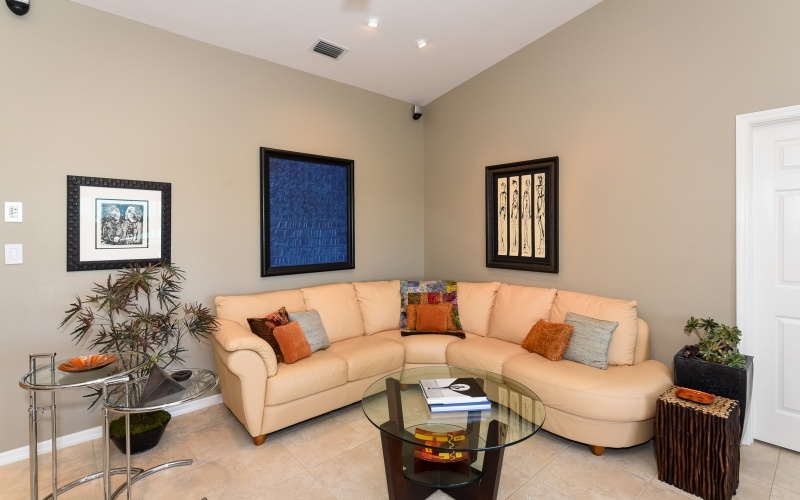 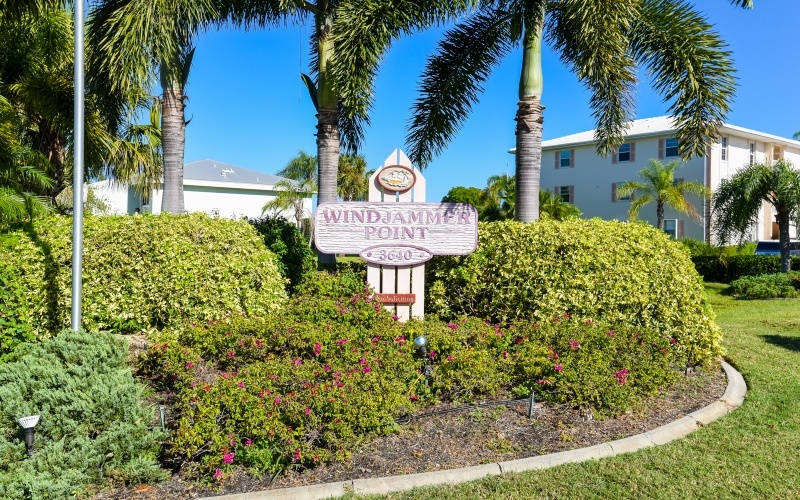 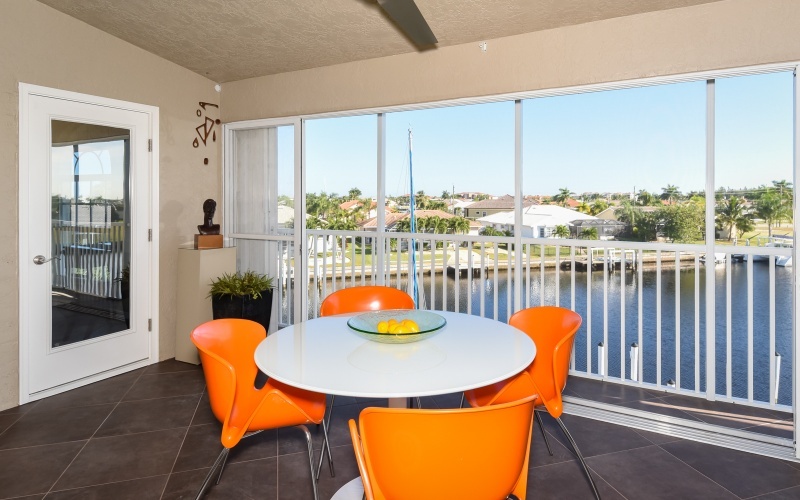 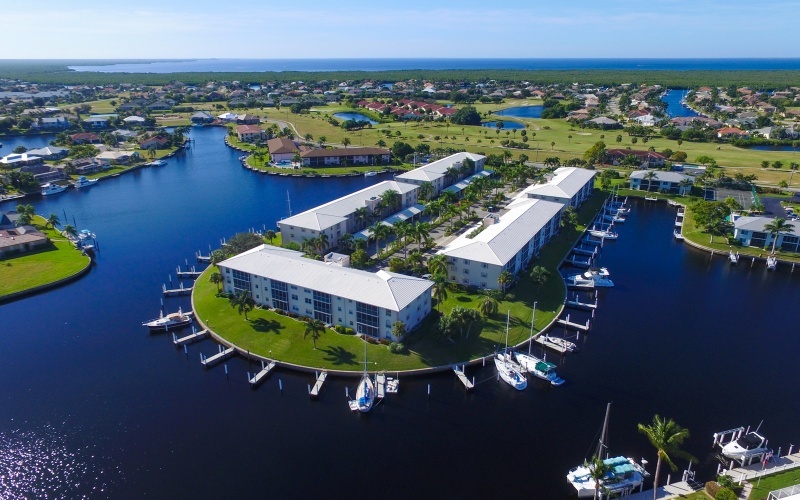 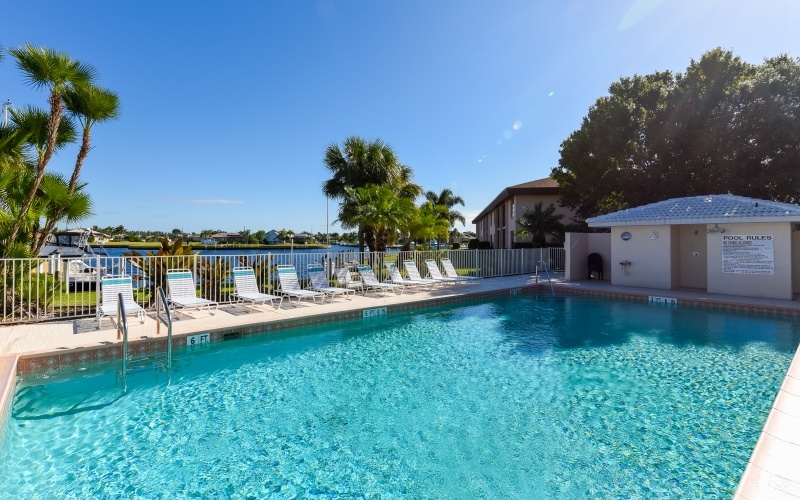 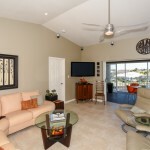 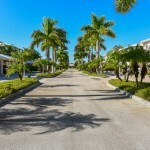 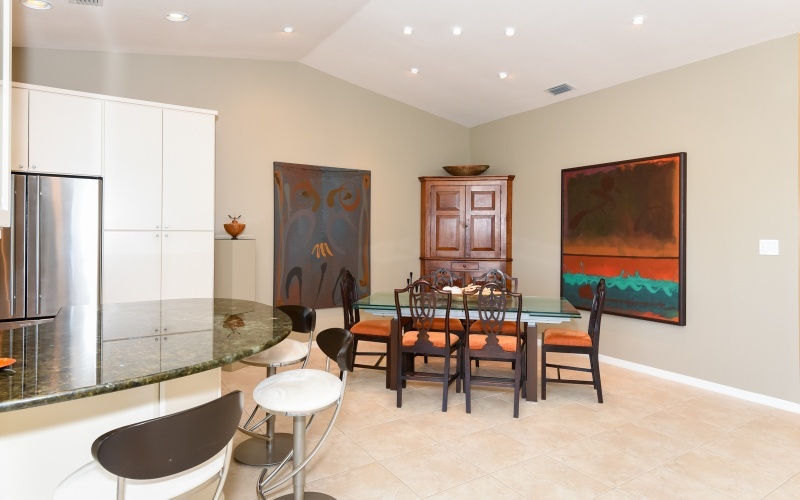 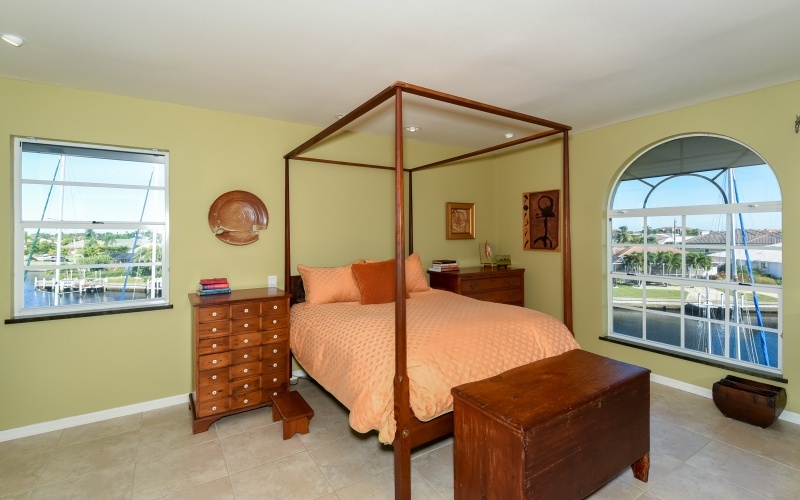 Situated directly on the tranquil Albatross Basin in Punta Gorda Isles, this exquisite and completely renovated three bedroom corner unit on the top floor offers over 2,000 sf of immaculate and finely detailed living space. 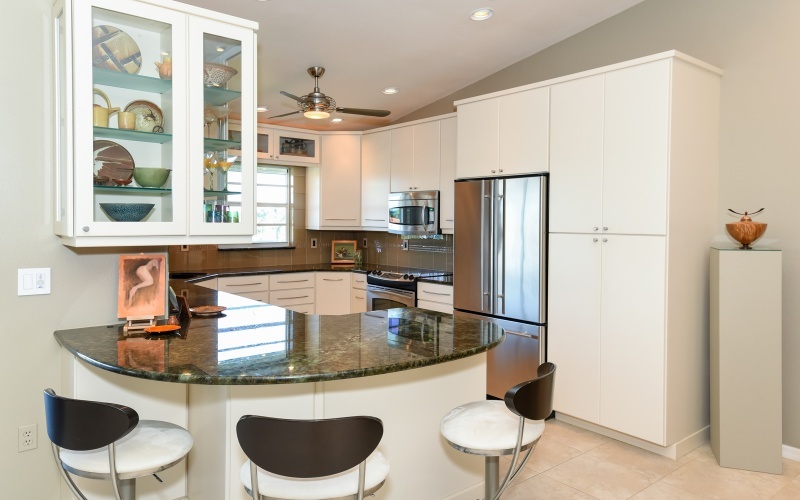 Nothing has been spared in the over $280,000-renovation; custom made solid wood cabinets in kitchen, bathrooms and laundry room. 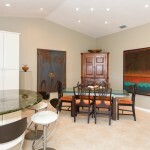 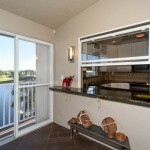 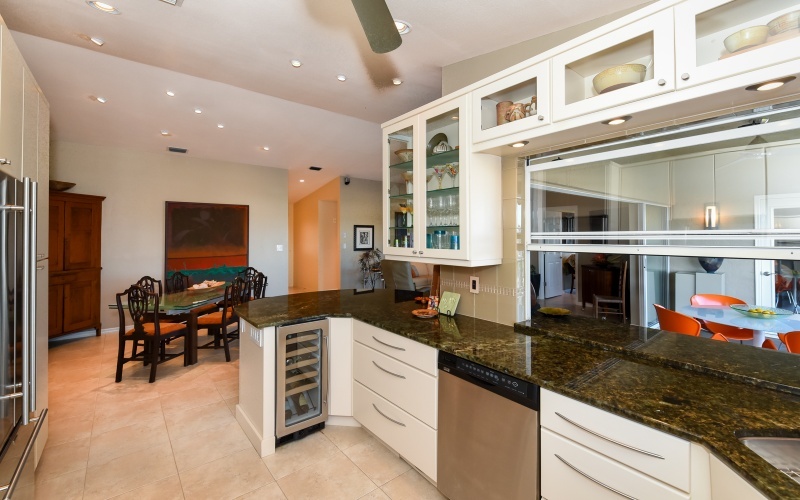 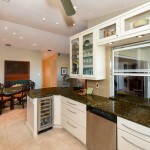 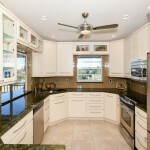 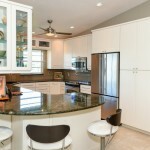 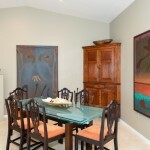 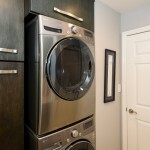 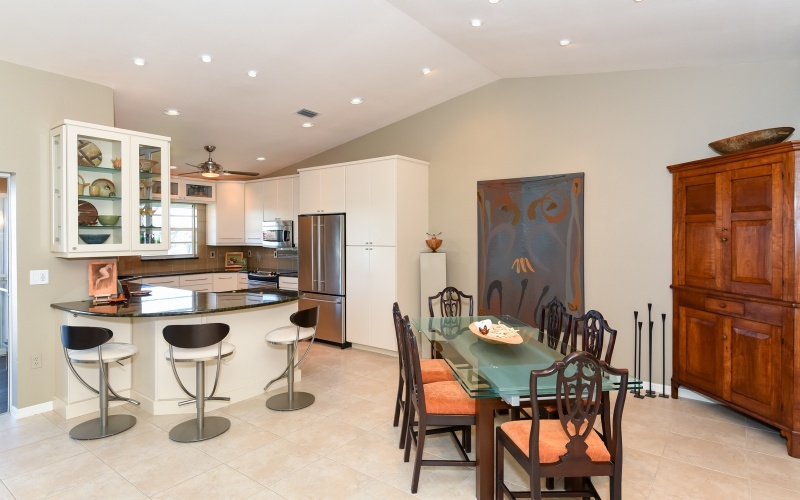 Kitchen with granite countertops and stainless steel appliances including Jennair refrigerator, and wine refrigerator. 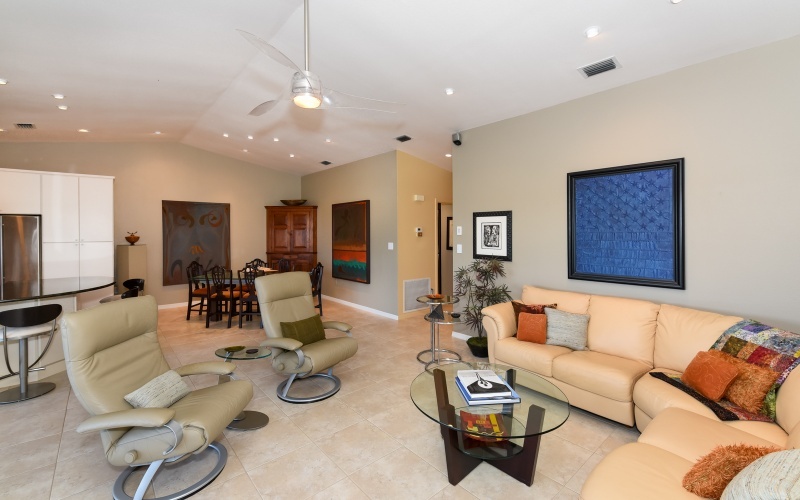 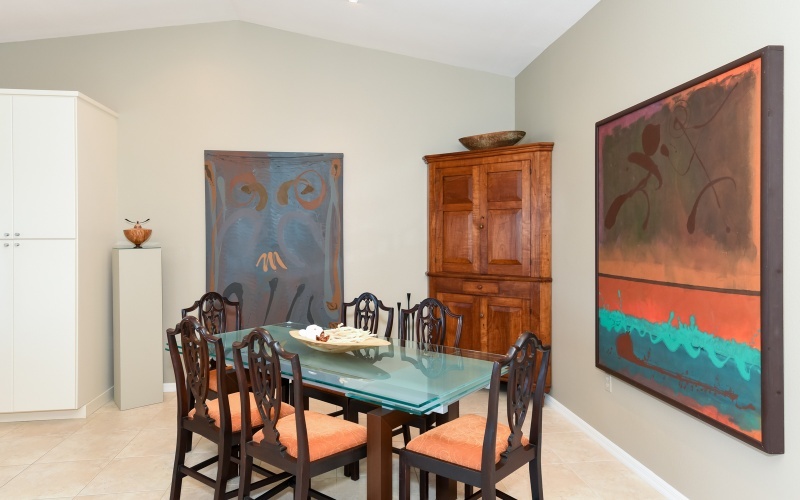 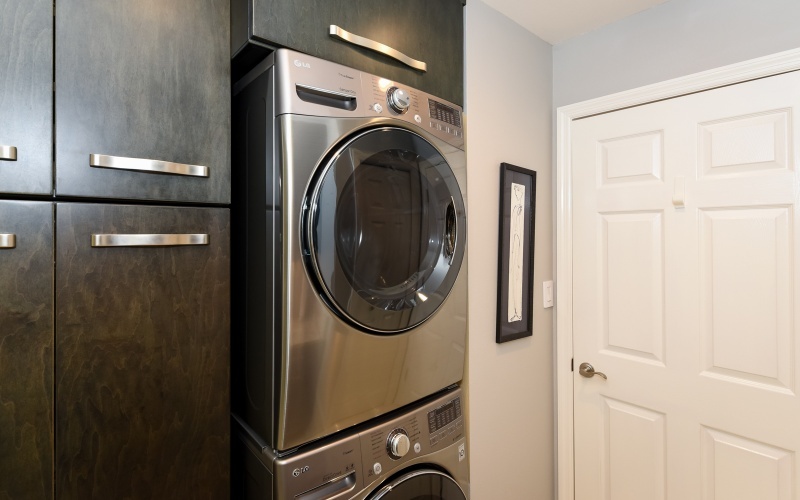 Tile floors and granite countertops throughout, Maestro dimmers for the soft recessed lights in the cathedral ceilings, roll downs and accordion hurricane shutters, and much more. 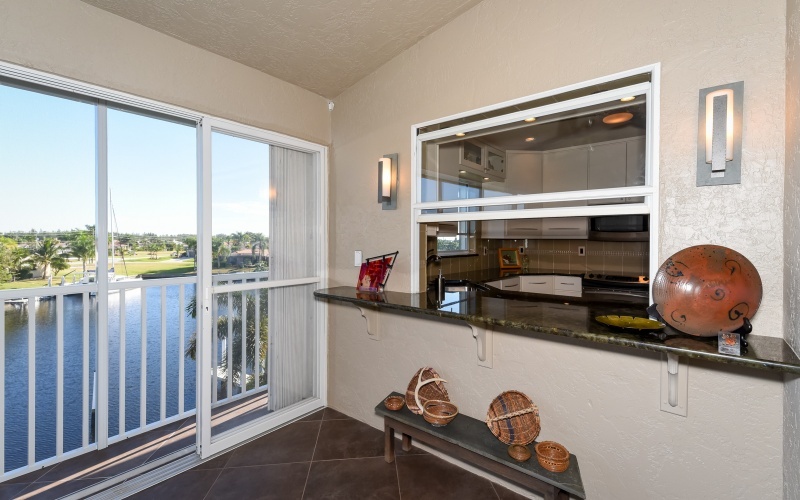 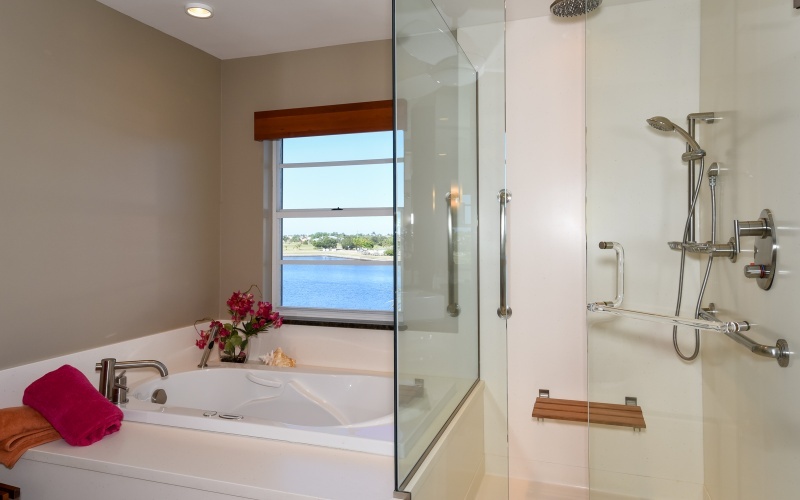 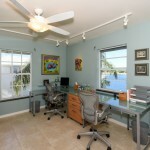 Very attractive floor plan with water views from the many windows. 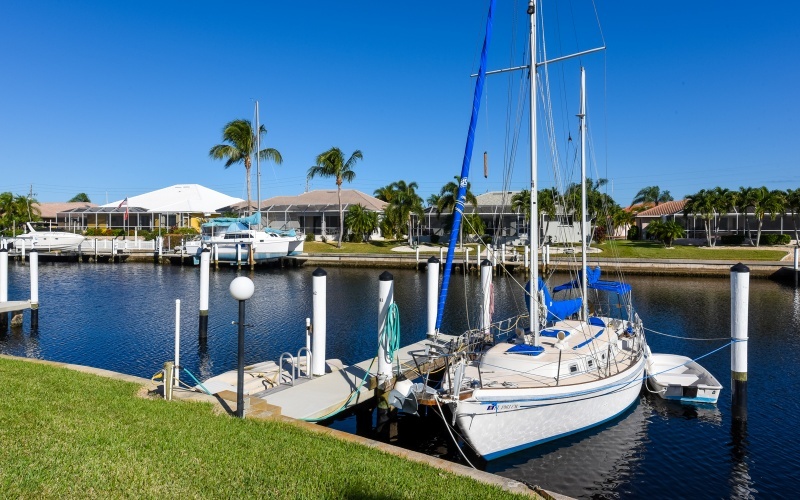 The unusually extra wide deeded boat slip with sailboat deep water sits right outside your window and has plenty of room for your boat. 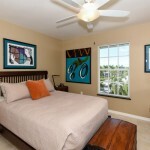 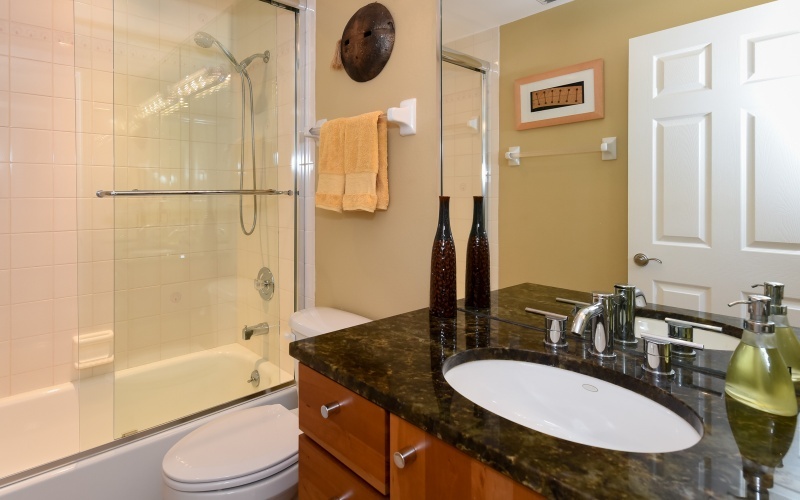 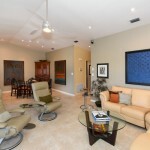 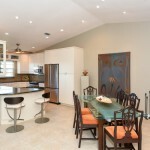 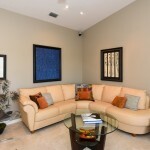 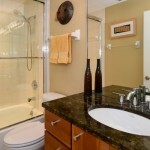 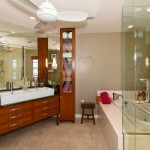 The community offers a heated pool and is adjacent to the private St Andrews South Golf Club. 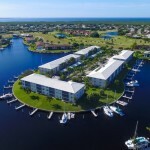 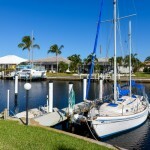 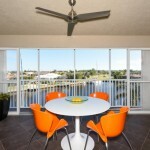 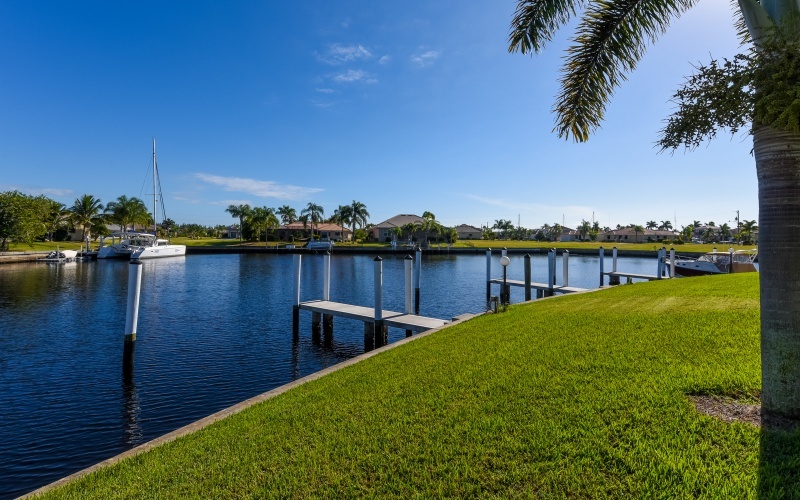 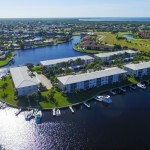 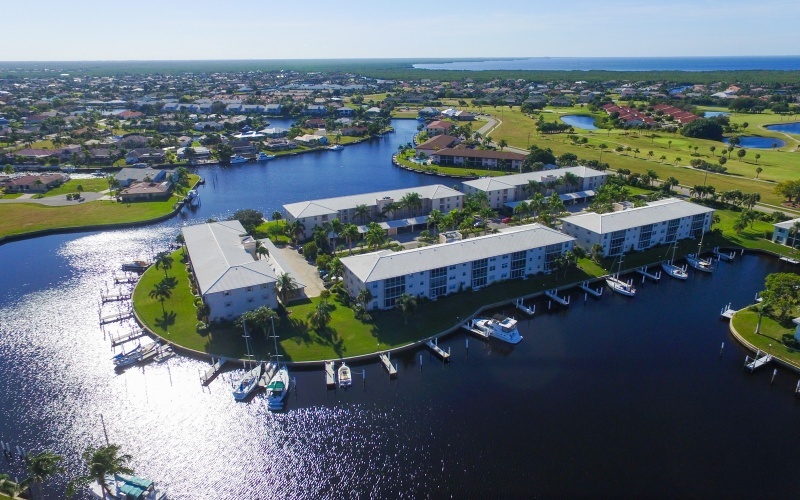 The charming and historic city of Punta Gorda, FL is commonly known as a “boater’s paradise” with its many deep water canals and direct access to Charlotte Harbor and the Gulf of Mexico. 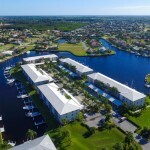 Fishermen’s Village with restaurants and shopping, the Linear Park, Gilchrist Park and the Harbor Walk are all within reach. 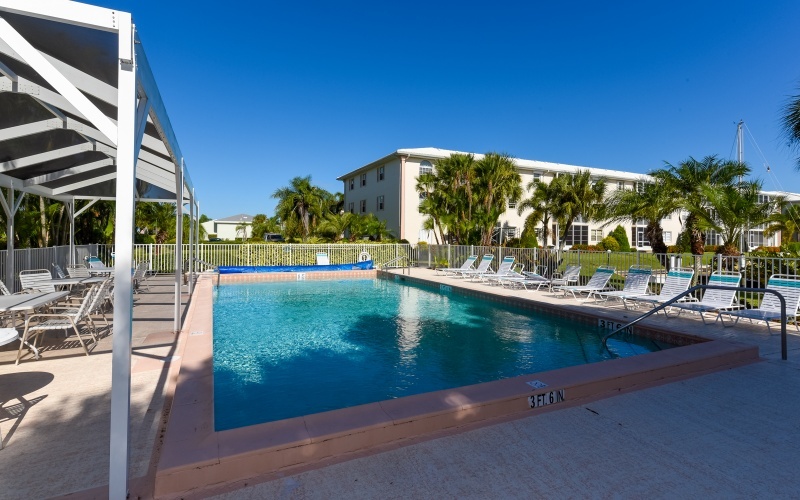 Southwest Florida International Airport (RSW) is only 45 minutes away.